Just got this email from the new features mailing list. It makes me very happy. Just define your styles, and you don't have to go into Outline Numbering to set which level it's used at. This also begs the question, can we finally use two or more headings at the same level? That would be huge for many reasons. Let's say you've made this form, or opened one from Word. If you created it in Writer you choose Insert > Fields > Other, Functions tab, and in the Type list you used Input Field. So far, so good. You're done, and you start filling in the fields. You click on the first field, you get the window, you enter data...then you have to click OK, and click on the next field, and fill that in....that's not very fast, is it? Close the window. Press Ctrl Shift F9. That gives you this window with Next functionality built in. Annoyed by the complexity of pressing Ctrl Shift F9? Make it a different shortcut. Use this blog and this window; note where the function is in the following screen shot. You might not do it today or tomorrow, but you'll do it someday. You'll need to paste some content from a Web page, or a Word document, or something else that's got some goofiness embedded in it, into your Writer document. Plus, when you paste from outside sources you sometimes get lots of sections. Sections are indicated, when you have nonprinting characters and text boundaries showing under the View menu, like this. Choose Format > Sections and you'll see allllllll the little sections and how complex they are. Why do you care? It's just icky and unnecessary, the sections will behave differently, you'll pull out your hair. Here's one example. I'm changing the left margin for the whole document, but only the section my cursor was in behaves. So not to get into too much detail, but a plain paste will not give you what you want. Choose Copy, then choose Edit > Paste Special (or Ctrl Shift V) and choose Unformatted Text. And then you get this as your pasted result. MUCH better. Envelopes can be problematic. Yes. This is primarily because envelopes are not Letter or Legal. Each printer has its own approach to printing, and you'll need to do a little experimenting. But you can do it. The Envelopes category and the Mail Merge catogory of my blog each has various approaches. and retype the info. Then you print, and you now know how to print. Just do the hard work once. Then re-use. 1. Create a new empty document. This will be your envelope. 2. Now make it look like an envelope. Choose Format > Page, Page tab. Make your window match the settings in this window, then click OK.
3. This is what it should look like. After typing, you want to take the cursor, the entry place where you type, down and over. Click after the return address and press Enter a few times til the cursor is about as high as you'd want it to be for the regular address. 5. See the top item circled on the ruler? Click and hold down on the bottom triangle and drag it about halfway over. 6. And now the cursor is where you need it to be to type the address. 7. Type the To address. 8. And now you can format it of course any way you want. 9. If you don't like where the To text is, click above the text and press Enter a few times to lower it or press Backspace a few times to raise it. Just the same way you'd do it in a normal doc. 10. And to move it left or right, select at least part of the To text and drag that bottom triangle left or right. Same way you did it before. Take out some cheap envelopes. You're going to need to experiment a little potentially. 1. Choose File > Print. In the Print window, click Options and in the window (this varies by printer), find the paper size and choose Envelope 10. This is the most important part of printing. You must do this or it won't work. Click OK in the settings window, then specify your print options and click OK to print. Now, it's up to you to fiddle with which way to insert the envelope, up or down or one end first or the other. That's allllll your printer. If you end up getting the address printed 90 degrees off, then make this change to the print setup in your print window too. Print it landscape. How it looks in your printer will vary. Click OK in the settings window, then click OK to print. Once you've got it working, write down all the settings you did that work. Note: You can also choose File > Printer Settings in your document and make the same paper size and landscape/vertical settings there. And theoretically those settings are saved so you don't have to do it again each time you print. If it works for you, great. However, I've found this slightly less reliable. C) Save it as a template so you never have to make it again! Had enough formatting? Then just save it as a template so you never have to create it again. You can make it into a template by choosing File > Templates > Save, selecting the My Templates category, naming it, and clicking OK.
Then use the template. When you want another envelope, choose File > New > Templates and Documents, click the Templates icon in the window that appears, and open the My Templates category. Inside the category, find your envelope. Double-click it. And you'll get a new untitled envelope document just like the one you made. Then just type or paste new info. This is all you have to do once you've done all this stuff. Type or paste in new information. Print, being sure that the printer is set for Envelope 10 and, if necessary, Landscape. Notes are easy to use, easy to format, and really, really easy to read, in 3.0. Printing is the same, so not that great but not less than what we had. You start out the same way. Choose Insert > Note. You get a box, and you just type. Note two things: first, just the note box there which is just what you'd expect, but also check out the circled icons. Those icons, the enabled ones such as font and bold/italic/underline, are available to use when formatting the note. Then you finish formatting, and you could have something plain, or something as silly as this. If you click on the little black triangle in the lower right corner you get a few options. And you get those options plus formatting options if you just right-click somewhere in the text of the note. To print notes, just File > Print, and click the Options button. You can print the notes where you want, at the end or after each page. You can also print only notes. Here's another nice new 3.0 feature. You can view pages side-by-side in editable mode, up to three. Here are the controls, in the lower right corner, for viewing side by side and zooming. The icons are Single, Double, and Double-with-first-page-on-right-side (more on that later). You can drag the little slider bubble in the middle and drag it from right to left and back to control magnification. The vertical lines indicate how far you have to be for one, two, and three pages at time. And the 100% zoom is the regular approach to zoom; right-click on it or double-click it to get different magnification choices. Here's what you get. Please click each image to see it bigger. When you have the icons set this way, with the single icon showing, the little slider dot to the right of the second line, and magnification at 100%, you only have room to see one page at a time, and even if it were smaller, it would only show one at a time. I click the Double Page icon and I drag the little slider dot to the left. It gets smaller but that's all. That's because the slider dot is still to the right of the first vertical line. Now I drag the slider dot to the left of the first vertical line. The Double Page icon is also still marked, and I get two pages side by side. This is in the low 60% for zoom. Now see what I get when I drag the slider dot to the left of the second vertical line. There are three pages displayed across. Insert > Formatting Mark has a host of goodies for extra control over your text flow, such as a non-breaking space or hyphen. First, set up OpenOffice so you can get all the options. 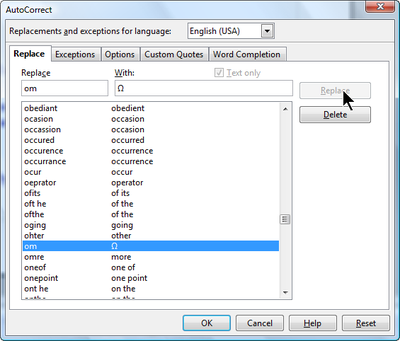 Choose Tools > Options > Language Settings > Languages and select the indicated Enabled for Complex Text Layout option. Click OK.
Now choose Insert > Formatting Mark and choose the one you want. You can see the keyboard shortcuts on the menu, and here are a couple as described in the Help. * Nonbreaking space: To prevent two words from being separated at the end of a line, press the Ctrl key when you type a space between the words. * Nonbreaking dash: An example of a non-breaking dash is a company name such as A-Z. Obviously you would not want A- to appear at the end of a line and Z at the beginning of the next line. To solve this problem, press Shift+Ctrl+ minus sign. In other words, hold down the Shift and Ctrl keys and press the minus key. Why should you use styles? Styles aren't so necessary for your short scathing memo to your intern, but anything longer and more complex will be a lot easier to format with styles. Do you really want to painfully do the formatting of every heading, every bulleted list, ever note and warning, every page, manually each time you have a new one? With styles, you just do the formatting for each heading and each other formatted element of the document once, and then you just select the text and select the style each time you want to apply the formatting. Instead of selecting the text, clicking the Bold icon, clicking the Italic icon, selecting the font size, selecting the font, indenting the text....and so on for every freakin' individual chunk of differently formatted text. Let's say you wrote that 100-page white paper and formatted it manually. There's a layoff and you have a new manager who tells you that your paper needs to conform to the corporate marketing formatting standards. Which are completely different. If you formatted it manually, you have days of work ahead of you. Styles Are Required for a Lot of Essential Features in OpenOffice.org. Do you want to create a table of contents? Do some fancy formatting in a table of contents or list? Do running headers? Do conditional formatting in a spreadsheet? You're going to need styles. There isn't a preview button per se but there are two ways to see the actual data, rather than the mail merge fields, in a mail merge. Here's a PDF from my workbooks with two approaches. One is just printing several or all of the records to one OpenOffice Writer file, then opening that up to look. The other is to click a button in the database view area, which lets you see just one page of records (one, for a mail merge letter or an envelope, or a whole label sheet full for labels). The PDF starts out with standard mail merge printing instructions, and the two preview techniques are at the end. When you indent from the left margin, you never never want to do a bunch of tabs. - You're relying on the Default Tab Setting, which can vary from computer to computer. Your .25 inch tab setting might be .5 on someone else's computer and you know that'll change the way your document looks. - Pressing tab more than once is just improper document setup. You want to specify the tab setting where you want it, at 1.5 or 2.25 or .75, then press tab just once. 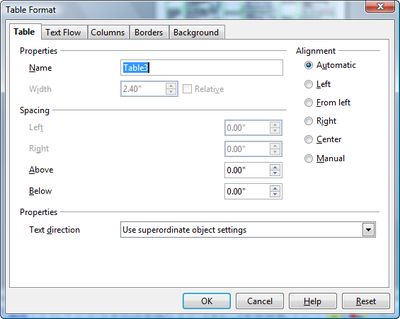 To set the specific tab setting, you just select the paragraph(s) then click on the ruler. Bam, you see your tab stop. Click at the left of the paragraph and press Tab. Once. And if you're indenting the whole paragraph, don't use tabs either. Drag in the left margin by dragging the bottom triangle shown here, or just choose Format > Paragraph, Indents&Spacing tab, and set the indent there. But there's another option. I don't explicitly recommend this, since it doesn't follow good document setup rules. But you would consider setting this up for your users if you're the IT person where otherwise, your users would be pressing Tab a lot, using the default tab settings, creating documents that don't travel well from one computer, office suite, or OS to another. It's a way to let users who are less experienced in correct formatting do it correctly without having the classes on how to do it and enforcing the rules. Let's say you've got this situation. You could press Return once or more and indent as described above. And that is absolutely fine. It's the right way to do it. But you could also use the Direct Cursor, which lets you click wherever, in horizontal or vertical that you want, and just start typing without having to press Enter or indent manually to get there. Pressing Enter and indenting manually is the right thing to do, remember, but for people who have never done that, this is a shortcut for doing it without knowing the indenting formatting that well. First choose Tools > Options > OpenOffice.org > Formatting aids and make the selections shown. Click OK.
Now when you move your mouse roughly to where you want the new paragraph to begin, the cursor looks a little different. And when you click and start typing, it looks like this. Now, I haven't used this extensively so there might be gotchas I'm not aware of. But it seems like it would be something to try. The only issue is you'll probably end up with less than matching left margins unless you've got really good aim. Paste Special is a great feature. Copy something, then go to a different spreadsheet sheet, or a different OpenOffice.org, and choose Edit > Paste Special. (Or Ctrl Shift V.) You get these options. If you select the Link option in spreadsheet-to-spreadsheet, or the DDE Link option when pasting any other time, you get a connection between the pasted from doc and the pasted into doc. When what you originally copied changes, then the pasted version of it changes, too. This continues to work unless somebody deletes, renames, or otherwise messes with the original file you copied. Unfortunately, if this happens, there's no big red flag waving to tell you. The data is still there; the link is just lost. Here's how to check to see if the link is still working. Choose Edit > Links. If you see links listed there, they're working and nobody has messed up the name or location of the original file. If the the Links option is dimmed, or if a link to the file you're checking on isn't listed, then the link is broken and you need to do Paste Special, Link again to make the pasted data update when the original data does. This will all change with OpenOffice.org 3.0, which is bringing in Microsoft Office-style display of notes. However, until then, here's some good stuff to know. You can insert a note, aka a comment, by clicking in the text and choosing Insert > Note. You get this box; you type; you click OK.
You then see the note indicator. It's a small yellow box. Move your mouse over the box and you'll see the note. It's not big and not obvious. One thing you might consider doing is to choose Tools > Options > Openoffice.org > Appearance and choose a different color for your notes. It doesn't make it bigger but if the color is more obvious to you, then that's good. Here's something else to know. The note display is affected by whether nonprinting characters are on. Choose View > Nonprinting Characters to toggle back and forth. Now, as you can see the same two notes are shown regardless of whether nonprinting characters are showing, at this point. The document is in .odt format, normal format. BUT if you save the document as Word format, AND someone adds comments/notes using Word, AND then you open up the document again in OpenOffice, you won't see the notes they added. UNLESS you have nonprinting characters turned ON. So here I am editing one comment, and adding another comment, in Word. Here I am opening up the document again, the .doc format document, in Writer. Nonprinting characters are OFF so you don't see the comment that was added in Word. Choose View > Nonprinting Characters, and it appears. Look at the end of the paragraph. Here's another way to more easily see all your comments, without having to look for the little yellow or green or magenta marker. Press F5 to open the Navigator, scroll down, and find the Notes item. Click the + to expand it and you'll see all your comments. Double-click one to go to the place where the comment was inserted. See that even though nonprinting characters aren't showing, all three comments are shown in the Navigator. I've written an article for TechTarget that's not really about using OpenOffice.org per se. It's more about good document construction and formatting. The thing is, though, when you do the formatting correctly, lots of nice things happen. The document looks more professional, it's far easier to update, and goes between Microsoft Office and OpenOffice.org more easily with fewer formatting snafus. And it's not just between those two office suites--better-formatted documents transfer better between different versions of the same office suite, different platforms, and different computers. It's all about letting the software do a bit of the work, based on what makes sense for it and its environment, rather than laying down the law yourself with manual things like tabs and carriage returns. Instead, you want to just use the formatting capabilities in the program, typically under Format > Paragraph. Doing this, as well as giving your document some wiggle-room and not cramming content into each page, will make a bi-office-suite life go more smoothly. Separation of format and content. It's not just for XML anymore. Note: This isn't wildly revolutionary stuff, at least not in the world of publishing and techwriting that I started in 15 years ago. (We had a templates guardian who would threaten to break our knees if we even created an unauthorized style, much less did manual formatting like the stuff described in the article.) But in the--oh, let's say "real world"--where you just sit down at your desk and try to churn out reports for that crazy boss of yours, or when you come from a programming background where vi was your text editor, this could be new and useful info. The article is based on my experience, as well as what makes sense logically. I've seen a lot of documents that have the manual formatting mentioned in the article, when I go out to train and consult. The first thing I do when I'm looking at a problem document for a client is to choose View > Nonprinting Characters and something manual almost always turns up. There'll be extra tabs, unexpected soft returns, spaces instead of indenting, etc. I also encounter fewer conversion issues with documents I create, than people in the world at large seem to. I was puzzled by this before I started training, but then realized that it was probably my techwriter/desktop publishing background making the difference. So--this is just an explanation and an implied caveat. I don't double-dog guarantee that your conversion problems between MS and OpenOffice.org will dribble away to nothing if you format your documents as I recommend. But my experience is that it should help, much of the time. I've written a big "what, why, and how" article on styles for TechTarget.com. http://searchopensource.techtarget.com/tip/0,289483,sid39_gci1230137,00.html It starts with just how useful styles are in daily life and why they make life great, then goes into just how to apply, create, and update them. I've written a fairly comprehensive article for techtarget on lists. I've written an article for TechTarget.com about using master documents in OpenOffice.org Writer. Master documents are used to combine lots of other Writer documents. They're similar to Word master files or Frame book files in that they organize your subdocuments, let you create a unified table of contents, etc. They're a bit picky but once you've got them set up, they work quite reliably. I've also written an article for TechTarget.com about how to bring spreadsheets into master documents, too. You link the spreadsheet to a Writer document, then bring that "dummy" writer document into your master document. It's a hack but a practical hack since big publications often need to combine different document types. There's an approach (even hackier, but useful) for bringing in presentation content, too. I've created some quick-reference sheets. The layout looks like this. Click the image to see it bigger. It's tables that repeat in three columns on each page. I needed columns so that I could keep the procedure name, in the left column of each table, together with the content in the right side of each table, the steps for the procedure. I also needed a heading at the top that spanned the columns. I fiddled with a few ways to do it but here's what I ended up with. - Then I just put in the tables. I made sure that the tables were allowed to break over page and column breaks, and I used the Break options when I needed to have the columns start at the top of various columns and pages. I fiddled a bit with column sections but the page layout approach was simpler. I've been doing some table-based layout recently, in my quick-reference cards. I got to know the table flow options real well. Here are some good solid table control features. Get to know this one. Click in the table and choose Table > Table Properties. Click the Text Flow tab. Break: If you want a cell to start at the top of a new page or column click in that cell, and then in this window select Break and Column or Page. Conversely, if you've got a table that starts at the top of a page or column and don't want it to, unmark the Break option. Allow Table to Split Across Pages and Columns: You're going to have some weird layout with your longer tables if you don't let the table at least split across columns. Allow Row to Split Across Pages and Columns: However, I think it looks a little weird, at least in some circumstances, to let the row split. So I don't mark that. Repeat Heading: Here's how you get the first, or first and second, and so on, rows of a table to repeat on each additional page. Helps readers to know what each column of information is about. If you've got a table at the top of a page and you want a blank line above it, just click in the upper left cell of that table and press Return. Click on the line where the carriage return is and press Delete. Bam, the two are consecutive. Not the same table, but consecutive. Let's say you've got a long table, and you want to split it into two. Just click in the line where you want the 2nd table to being, and choose Table > Split Table. 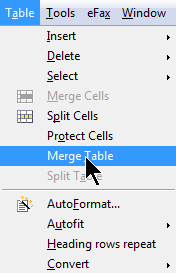 If you've got two tables and you want them to be one, then click in the top line of the second table and choose Table > Merge Table. If there's just one to choose from, the merging will just happen with the table above it. If there's a table above and below, you'll get this window. Make the choice you want and click OK.
See also my post on the pagination extension. All right. It's the elephant in the room, and it's time to address it. How do you have no page number on the first page, then have the second page start with the page number 1 in the footer? Or with page number 42, or 623? Good question. It's a common one. It's actually not more complex than the tax code, but there's some setup you need to do that's a little more complicated than the task at hand. I would like to see a checkbox/field combination somewhere that would let you specify "For this document, start the page footer on page __ and make the first page number be ___". However, for now, we do it this way. - Whether there is a page number in the footer--i.e. whether there is any number at all in there, regardless of what it is. - If there is a page number in the footer, what that page number is. You control the first with page styles: you set up the page style, say "yes, there's a footer and a page number in it" or "no, no stinkin' page numbers here" and then apply that page style. You control the second a few different ways. I'm going to show you the most straightforward which is just to create a page break, switch to a different page style, and specify what the page number for that page is. : 1, 42, 623, or anything else. Let's look at part 1 first. Page styles are actually a really nice, useful feature. Bring up the document you're working with. Remove any page breaks you've put in between the first and second pages. This sample document I'm using has some text that clearly goes on a cover page, and then it runs immediately into the content text that should start on page 2. Here's my sample document. I want no page number on the first page and page number 1 on the 2nd page. Choose Format > Styles and Formatting. In that window, click the Page Styles icon at the top. Right-click in the blank part and choose New. You're going to make the page styles you need. In the Organizer tab of the page styles window, just name the style something like Cover Page. This is the one with no footer and no page number. You actually don't need to do anything else. But just to make sure it's clear when we're applying the styles in this procedure, I'm going to suggest that you click the Background tab and give it the light gray background. Now, right-click in a blank part of the Styles and Formatting window again, and choose New. This time you're creating the other page style, the one for the main body where you're going to have a page number and start it at 1. Call it Main Body or something, in the Organizer tab. Then click the Footer tab and turn it on by marking the checkbox. That's all you really need to do, so click OK.
Click in the first page of the document, where you want the Cover Page page style. 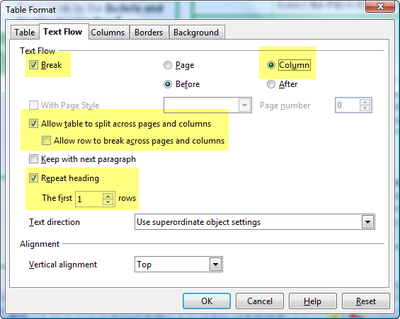 In the Styles and Formatting window, double-click the Cover Page style you created. The style will be applied, as you can tell from the gray background. The style is applied not only to that page, but to the entire document. That's what's supposed to happen at this point. Now you're ready to switch. So click to the left of the first word where you want to switch, the first word of the next page usually. Or click to the right of the last word on the current page. Whatever works. Here I've clicked to the left of "Why". Choose Insert > Manual Break. In the window that appears, just tell it that now you want to switch to the Main Body page style by selecting it in the list. A page break will be inserted where your cursor was, and the new page style you specified, Main Page, will be applied from that page on in the document. Just create the styles you want, apply the first style, then just switch page styles the way we did in this example. To have a landscape page in a portrait document, just create a page style and select the Landscape option of the Page tab. So in this example, you could create a third page style, call it Landscape or Horizontal. Switch to it the way we did here with the manual break, but just don't change the page number. If you want to automatically switch from one page style to another, you have two options. In the page style definition window, click the Organizer tab and find the Next Style list. You'll still need to insert manual page breaks sometimes but you won't have to switch styles as we did earlier. In the paragraph style definition window, click the Text Flow tab and find the section in the middle dealing with creating a page break with a particular page style on the next page. Or try using all three approaches together. Call them carriage returns, line breaks, paragraph marks, whatever, sometimes you want fewer of them. Maybe you've brought in some ASCII text that had a line break or two after every paragraph and now with formatted text you don't need it. Or you're turning a spreadsheet or database into text or vice versa. At any rate, it would be nice to use the Find and Replace window to quickly find'em and change them to whatever you want: nothing at all, or the phrase "el elegante" or whatever. Note: If you're a macro kind of person, see this page on the ooo forum. 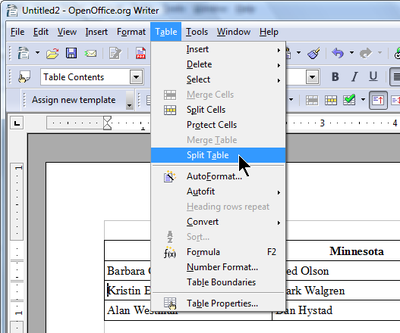 In your OpenOffice.org document, choose Edit > Find and Replace or press Ctrl F. The Find and Replace window will appear. In the Find and Replace window, enter the symbol for what you want to search for, in the Find field. Here's a quick reference to the symbols to enter for what you're looking for. In the Replace field, you typically don't enter anything since you're probably just trying to get rid of whatever you're searching for. If you want to replace something with a carriage return, put \n in the Replace field. If you want to replace one carriage return with two, put \n\n in the Replace field. One thing--you can't replace something with soft returns. As you see, a \n in the Replace field turns into a normal hard return. Just use \t normally, in both the Search and the Replace fields, for a tab. Once your Find and Replace fields contain what they should, click the More Options button. Select the Regular Expressions checkbox. This will make the program look for what those codes represent, rather than literally those characters. If you're using a mix of regular expressions and normal characters, you might need to use a \ in front of anything you want evaluated normally. For instance, if you really are looking for the symbol $ but you want to replace it with a carriage return \n, then you need to actually search for \$ in the Search field and replace it with \n because $ is a special character. This illustration shows you're looking for a carriage return (any carriage return), and you're going to replace it with nothing. Click Find. The first instance (from where the cursor was) of the thing you're looking for will be highlighted. Click Replace to do the replacing. And so on. Keep going until you're done. Use Replace All only when you're absolutely positive you'll get the results you want. You're writing a 680-page document and you just want to read through the main heading titles and make sure that they're in a good order, that you're using parallel grammatical structure, that you're capitalizing correctly, etc. Tables generally behave as you might expect. They're fairly straightforward and not too troublesome. But sometimes the features aren't that obvious. So here's a blog on useful stuff you can't easily see, as well as one feature Word users might expect that isn't there, but for which there is a decent alternate route. Here's your table. Let's say it's, oh, top performers for Amway from each state, or the exciting new political movers and shakers from each state. And it's right at the top of the page, but you want to write an intro paragraph like "Let's welcome the new political movers and shakers from the Midwest!" This is relatively straightforward, but there are four ways to split it. Here's your table. Note that the first line is bold and centered. The Table Heading paragraph style is applied to that row in the table. 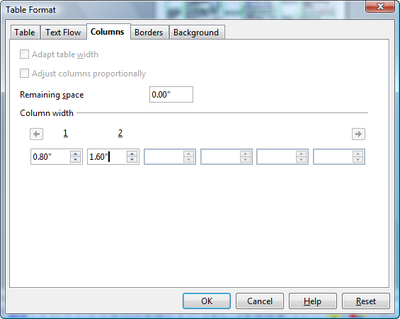 First, click at the left of the column that you want to have as the first line of the new table. 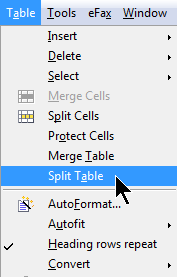 Choose Table > Split Table. Copy Heading is just what you would expect. The results look like this. Custom Heading Apply Style is useful only if the line you're splitting on is going to be used as a heading. Here, it's pretty silly. It applies the paragraph style from the heading of the table to the top row of the new table. Also the first row is a heading, i.e. it will repeat at the top of the next page if the table goes far enough to continue to the next page. Custom Heading is the same except that it doesn't apply any paragraph style. But the first row of the new table will still repeat on the next page if the table goes long enough, since it's a heading. No Heading is the simplest approach -- it splits the table and does absolutely nothing else to it. Let's say you've got this table. You probably want to give the far right column a little more width, definitely, and maybe adjust some of the other columns to suit how much content they have. Click and hold down the arrow for the Optimize icon. All of these are useful but you want the far right icon, Optimal Column Width. Sorry, there's no quick way to do this. Tables are just normal tables in Writer, and so part of the normal text flow. You can't just join text chunks. However, it's not too much work to copy and paste. You have a table. You then have a blank line or three, then another table. You want them to be one table. - Copy the second table (leave out the heading rows). - Create a blank row at the end of the first table. - Click in the first cell of that blank row. An email conversation with Don revived my interest in brochures. I've got a template here for a tri-fold brochure. It uses connected frames. Right-click on the link and choose to save it to your computer if you'd like to look at it. However, what if you want something more normal, just something like this? You want to rotate a letter or A4 piece of paper 90 degrees, and fold it in half. This means some juggling with the page printing order. For the folding to come out right, you need an eight-page brochure to print like this. Half are on one side of the paper and half are on the other. You could do this through mental gyrations. Or you can do it with the OpenOffice.org Writer brochure setting under print options. You just need to do a few things to make it work well. For whatever reason, the brochure printing prints a little short of filling the eight vertical inches appropriately. So for printing on letter size paper sideways, I recommend an 8 1/2 by 13 page size. Choose Format > Page, Page tab and set the size there. I also recommend mirrored setup and a nice big inner margin as shown. The whole document will be shrunk when it's turned and printed so I recommend increasing all font sizes about 2 points, possibly more for extra readability. Choose File > Print. Click Options. Select the Brochure option. Click OK. 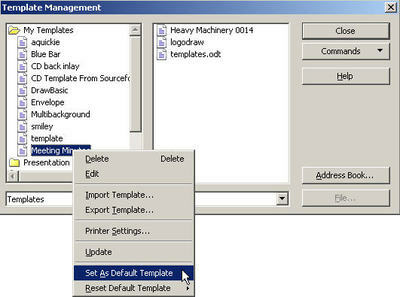 In the OpenOffice.org print window, just click Properties and find the option to print Landscape. If your printer also lets you print double-sided, select that option too. And you're done. If your printer doesn't do double-sided, you'll need to do this instead. 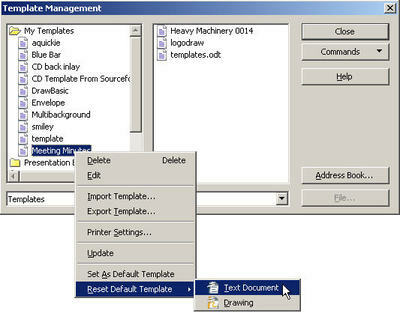 B) In the print window, click Properties and set up the printer to print landscape. Print. C) Then put the pages that you've printed into the printer again, choose File > Print again, and choose these options instead to print the other half of the pages AND to reverse order. And of course print Landscape this time too. Here's a template if you'd like to download it and fiddle with it. Right-click on the link and choose to save it to your computer. Download the template, with screenshots and directions. Download the template without screenshots or directions. You want this extension for yourself and everyone you know who uses OpenOffice Writer: the easy "no page number on first page" option and much, much more. Charles Brunet, thank you. The people who created the extension capability for OpenOffice.org, thank you. I've been longing, for years, for a simple "no page number on first page" checkbox. This is great. I'm only sorry I didn't see it til today. Everybody, now, click here to get the extension. IT folks, get this extension now for all your users. 2. In OpenOffice.org, choose Tools > Extension Manager, select My Extensions. 4. Find the downloaded extension file. 6. In any Writer document, choose Insert Page Number. 7. You'll get this window with its many clear, useful options. The headers and footers are inserted automatically if you choose them, and you can choose the page number style. And, of course, there's the wonderful "no page number on first page" option. Let's say you want something that looks like this. (I found the Java examples here.) You want a border around the code example and you want a caption with a number that increments automatically. You can go ahead and put the code in a frame. Just Insert > Frame, click OK, stretch it to the right size, paste the code inside. Then click in the frame and choose Insert > Caption, and bam, you're good. However, frames can be just a little annoying to deal with because sometimes when you click on the frame you can't type in it, you have to click outside the frame and then inside it again, etc. And why use a graphic element when there's a paragraph attribute that lets you just put a border around any paragraph? Plus, then you can save all that paragraph formatting as a style, so you can type or paste in the code example text, select it all, and just apply your CodeExample style. It's more Elegant somehow. Plus it's easier to update. (You can do frame styles but the updating process isn't nearly as cooperative as the paragraph styles.) And the automatically numbering caption that you insert with this approach is very nearly as easy to do as when you skip styles. 1. Get your code example in. You can copy and paste from your actual code that you've got running, or choose Insert > File to just bring it straight in without copying and pasting. 2. Format it the way you want it. Courier font, font size, indented a half inch, whatever. 3. Then select it all and choose Format > Paragraph, Border tab. Select the border icon on the left for all four sides, in the middle set border formatting options, and on the right, maybe increase the distance from the content to the border. Click OK.
4. The code example will have a border. 5. With your mouse still selecting the code example, choose Format > Styles and Formatting. Click and hold down on the far right icon and choose New Style From Selection. 6. Give the new style a name and click OK.
You have your paragraph style for code examples now (in this document only) and can modify and reapply it easily. 7. Now to insert a caption for just some plain text, click below it and type whatever you want the caption to be, like Code Example: arrays or whatever. 8. Click where you want the code example number to appear, like between "example" and the colon. 9. Choose Insert > Fields > Other and click the Variables tab. 10. Select Number Range on the left. Now choose one of the numbering range systems set up already. Just select Drawing, Illustration, whatever you want. The word "Drawing" won't appear, they're just named differently to indicate that they're separate and increment independently. After you do, type whatever you chose, like Drawing or Illustration, followed by +1, at the bottom of the window in the Value field. Then select the numbering type on the right like Arabic, ABC, etc. Then click Insert. The number appears. The gray indicates that the number automatically increments. 11. To make more captions, either copy and paste the results of the first one, and modify the text, or repeat those steps. The number will automatically increment. However, it won't be affected by other numbering like page or other number ranges you set up for tables or illustrations. 12. To apply the formatting to more code examples, just get the text in, select the whole piece of code, and choose Format > Styles and Formatting. Double-click the style you created. One of the things in OpenOffice.org and StarOffice that's a little harder than it should be is having different page numbering in the same document. - Having no page number on the first page, roman numerals on the second and third pages, and arabic numbering on the fourth page. Also having the page numbering restart at 1 on the fourth page. I've blogged about it but a video is worth a thousand words. Note: If you're saving in Microsoft Word .doc format, any styles you create will be renamed convert1, convert2, and so on when you save, close, and reopen the document. So follow the instructions for the second video but it's probably best to modify page styles that already exist rather than creating the new styles. (Right-click on the page style name and choose Modify, rather than right-clicking in the white area and choosing Create). This looks pretty fantastic. New features for charting coming in OpenOffice.org 2.4. To try it out, click here for the announcement and download info. Here's just one of the new features, quoting from this post. Now, it is possible to display the equation for a trend line (regression curve) next to it. The formula object can be moved around, formatted with a number format, font and graphical formatting. Alternatively, or in addition, the correlation coefficient R² can be displayed in the formula object. The default tabs are the ones that you use if you simply press the Tab key. They are marked on the ruler as small upside down Ts. Whenever you press the Tab key and your cursor is in your text, you move along the cursor as far as one more of the default tabs. The default tabs in the following illustration are every half inch on the ruler. The tab key indicators in the text look like arrows when you choose View > Nonprinting Characters, as shown below. See that there are tab markers on the ruler to show where pressing Tab takes you, and tab key indicators in the text to show where you have actually pressed Tab. You can delete them if you want to get rid of them. Before we continue, note that the info for Rachel and Bob above starts at the 2" mark. It’s MUCH better to specify tabs yourself, though. This is better for several reasons. One is that you can position the tab exactly where you want it, and you only have to press Tab once. A primary reason for creating your own tabs, relating to document conversion, is that default tab settings are specific not just to the application, but to the user. Each application, like Word or Writer, might have the default tabs set to different increments, and you can set yours differently than your co-workers. If the default tabs are .25 inches apart in Word, but .5 inches apart in Writer, then your document will look a lot different when you open it in Writer. Your document using default tabs also might look quite differently to you than to your boss. And even switching between Writer and Writer might cause problems if you've set your default tabs differently. You can change the default tab settings in Writer under Tools > Options > OpenOffice.org Writer > General. However, it’s best to set the tabs where you want them in the original document. Then when you open the document in the other text-editing application, there are no tab-related corrections to make. Select at least part of EVERY line that should have that tab. Then click on the ruler, in Writer, and drag the tab mark that appears to wherever you want it. The tabs you create are slightly larger, as shown. Then when you press Tab once, your cursor will go all the way to that mark, disregarding any default tabs to the left of it. To change the tab position, again select ALL the text (at least part of every line) that has that tab marker, then click and hold down on the tab marker on the ruler, and drag it. The text will follow. You can also define tabs by selecting the paragraph(s) that need tabs and choosing Format > Paragraph, Tabs tab. I've been doing some work with converting documents between Word and Writer, and have found that this bullet format doesn't go well between the two. The text ends up in the middle of the document, and there's no space between the bullet and the text. Steer clear of this bullet format in Word and you'll have a better conversion experience. There isn't a built-in grammar checker. If you want to add one, here's a grammar checker extension, one of the many on the extensions page for OpenOffice.org. Once you download it, choose Tools > Extension Manager to install it. That color is applied to the text, of course. Note that now the line under the A font color icon is red, the most recently applied color. Even though no red text is selected. Now if I select some more text and just click the font color icon, rather than having to bring up the palette and pick the color again, like before, I get the most recently applied font color (the one shown in the line under the font color icon). Ditto with the highlighting icon and the fill icon. That is the way it works in Word, I understand, and that's how it now works in Writer 2.3. It does NOT work this way in Calc or Impress/Draw, though I would have to assume that's coming. I wanted to point that out because I've heard complaints about how the text color icon (or text highlight icon) used to show the color of the currently selected text, not the color that you most recently applied. One could make an argument either way, but apparently the OpenOffice PTB (powers that be) decided to switch it to match Word. I must admit that I like it the new way, myself. So -- two things here. One, that the OpenOffice folks listened to input from users, and two, that the font colors work this way in 2.3.